EMILY JUMPED OUT of a plane the other day. With a parachute. And a fellow skydiver strapped to her back. She did it to celebrate finishing her master's degree from Eastman School of Music. 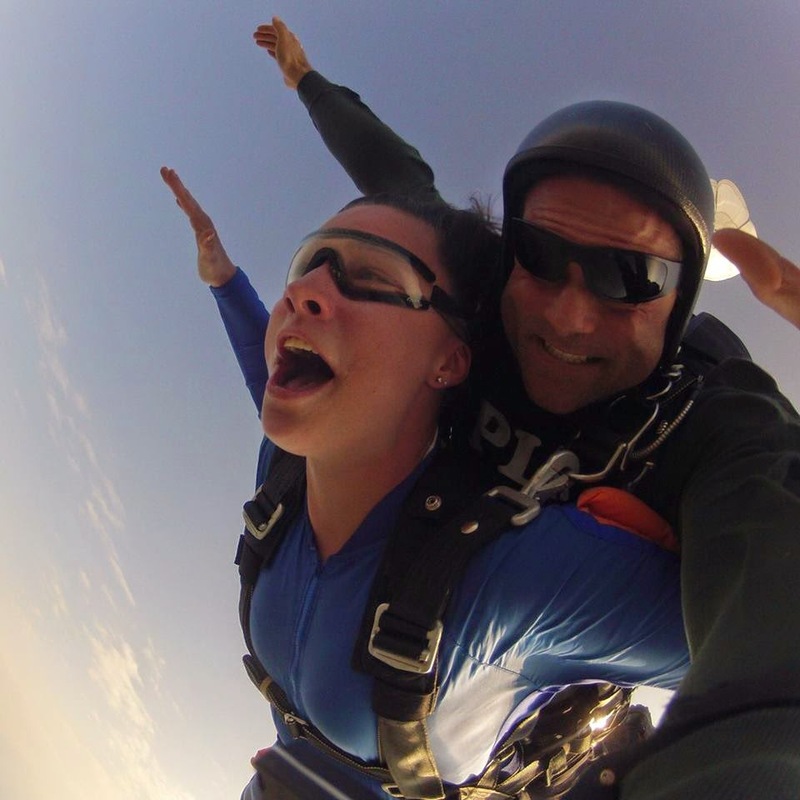 In a way, it makes sense - skydiving to culminate six years of hard work. I haven't talked to her much about it, but looking at the photo, I can tell she had the thrill of a lifetime, and I guarantee she wants to go back. I couldn't do it. Of course, quitting a job to hang out at a music store could be considered jumping out of a plane, without a parachute. I'm proud of Emily. I think it's great she went skydiving. She's got guts and a free spirit and the whole world in front of her, and I'm envious. She's earned every bit of it. She gets her degree Sunday, heads to Europe in a few weeks leading a Blue Lake Fine Arts Camp tour, then has to figure out what to do with the rest of her life. I'm sure she's finding out the real world isn't all it's cracked up to be. You gotta know when to pull the cord on your parachute, and how to land properly after plummeting from the sky. But you still have to jump.